Abdel Ramirez, the Value Store It manager in North Lauderdale, Florida was recently interviewed for an article for Storage Talk, a national industry publication. In the article, Ramirez discusses the key elements of book storage. 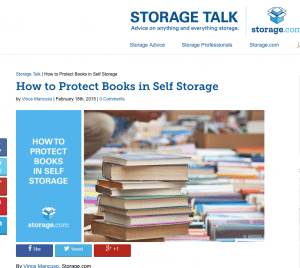 He gives expert advice on how to keep books protected while in self storage. According to Ramirez, there are many people looking for book storage today because they’ve downsized to a smaller home and they are keeping a book collection to pass on to future generations. If you’re one of these millions of well-read people, you might want to consider storing your books in climate controlled self storage. It’s important that books are stored in a climate-controlled unit because humidity can damage books. High humidity can cause mold and mildew, and extremely low humidity will make the paper brittle could cause it to deteriorate more quickly. The key is to aim for something in the middle (50% to 70%), which is exactly where Value Store It climate-controlled units are kept. 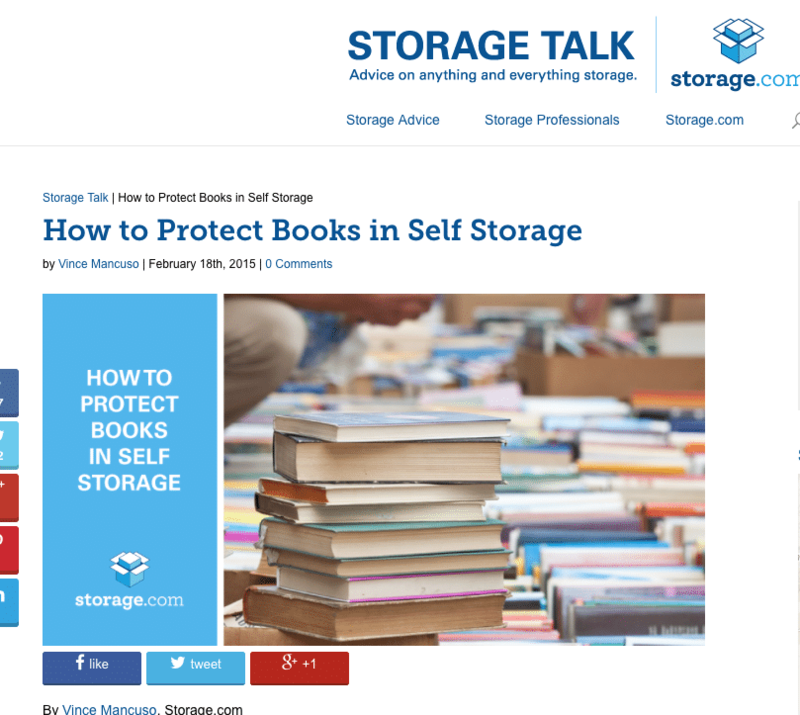 In the Storage Talk article, Ramirez shares three key tips for keeping books safe and protected in self storage. Make sure the books are clean. If your books are dusty or dirty, they’ll end up getting damaged or scratching other books. Valuable books can be wrapped in a cloth for extra protection while they’re in storage. Take inventory of your books and label your boxes. This will make locating specific books easier when you need a particular title. List the titles on the side of the box. If you’re not sure you want to place valuable books in a storage unit, you should check out the super clean storage environment at any of Value Store It’s 12 locations. These climate-controlled self storage units are a far cry from the unheated garages you may associate with storage centers of 20 years ago. These tidy, indoor storage spaces are kept to an even humidity level and temperature that’s perfect for long-term storage of a valuable book collection. And the best part is that prices for climate-controlled units have come down drastically in the past several years. You can rent a storage unit with ample space for your books, and pay less each month than the typical cable bill. Affordable self storage units are a great solution to the dilemma of not having enough space for your book collection. Climate-controlled storage ensures that, “books will be in a safe location and taken care of properly,” says Ramirez. You can read the entire article (which was written by Vince Mancuso) with Abdel Ramirez’s interview here. The bottom line is that whether you need a garage sized unit large enough for a professor’s library, or a closet-sized locker for a few choice books, you can find what you’re after at Value Store It’s climate-controlled self storage units. Select a unit online in minutes and rent your space today. And, ff you visit the North Lauderdale location, you’re welcome to chat with book storage expert Abdel Ramirez about all your book storage questions.